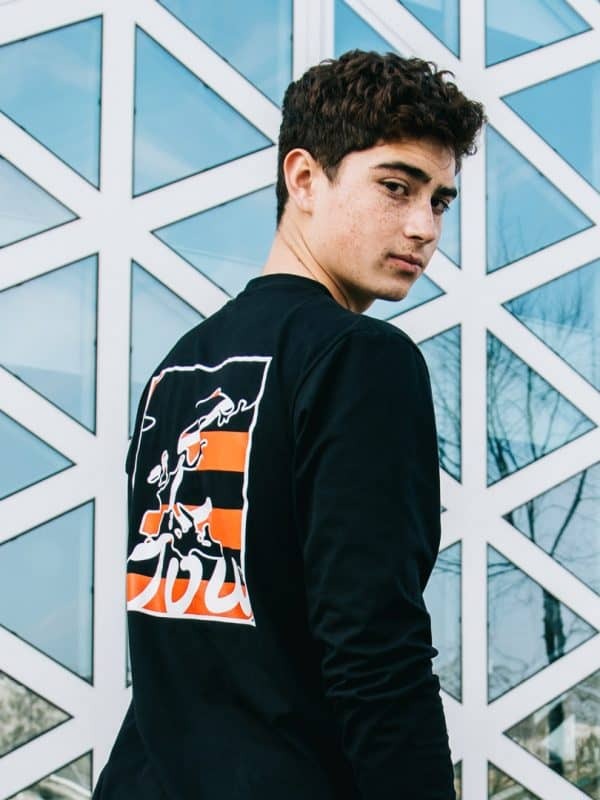 The Switserland long sleeve is a tribute to the country. It contains a back print with an artwork showing parts of the European continent, while using the colours of the Swiss flag to create the outlines of the artwork. 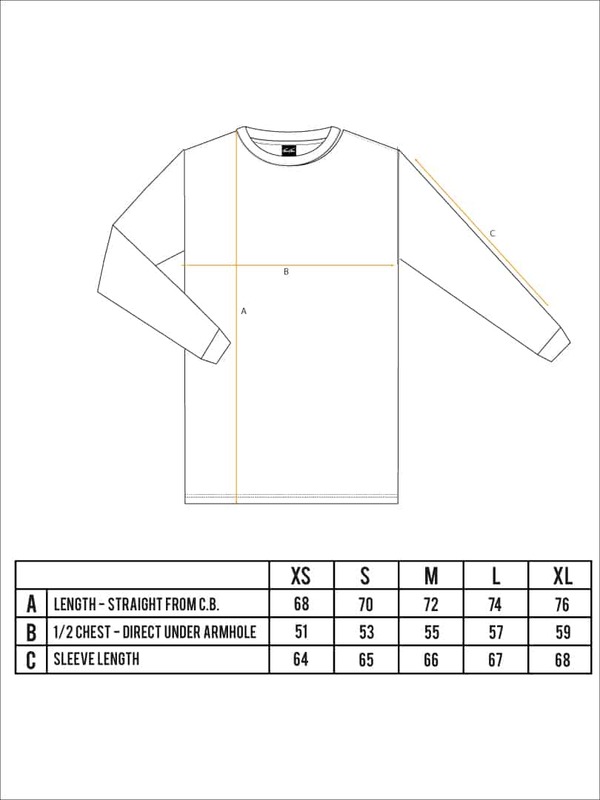 The Switzerland long sleeve contains a silkscreen print on both sides. 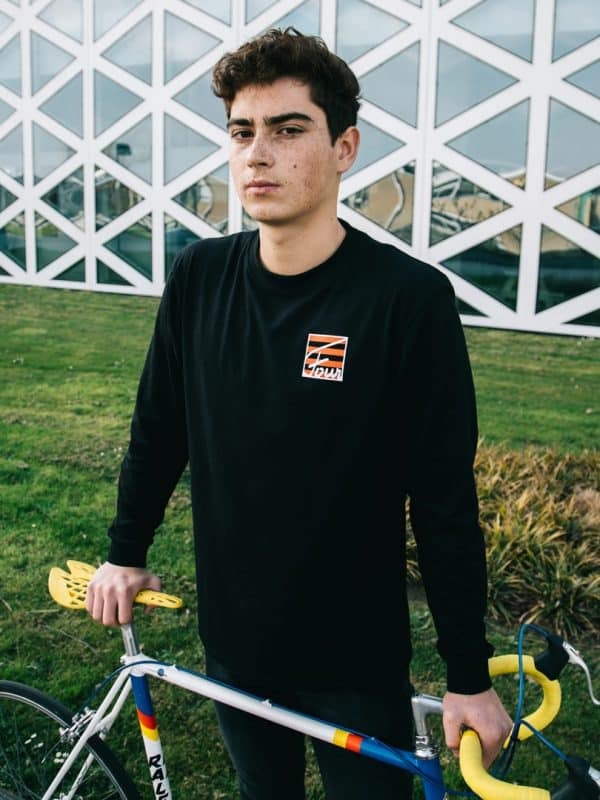 The long sleeve can be worn unisex. Pick one size bigger to get an oversized fit. 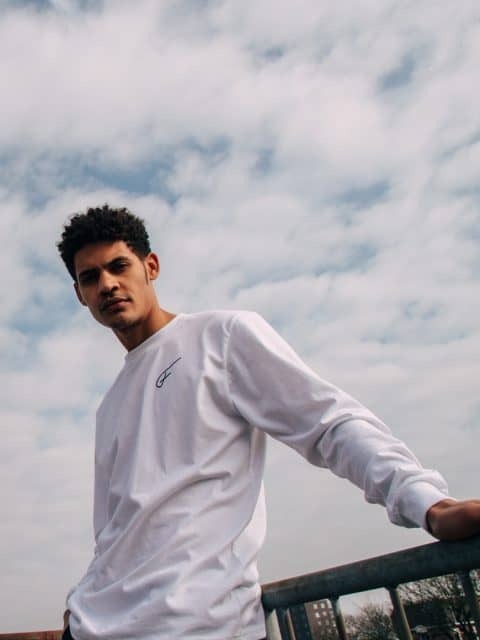 The long sleeve is made out of 100% cotton and weighs 185gsm. 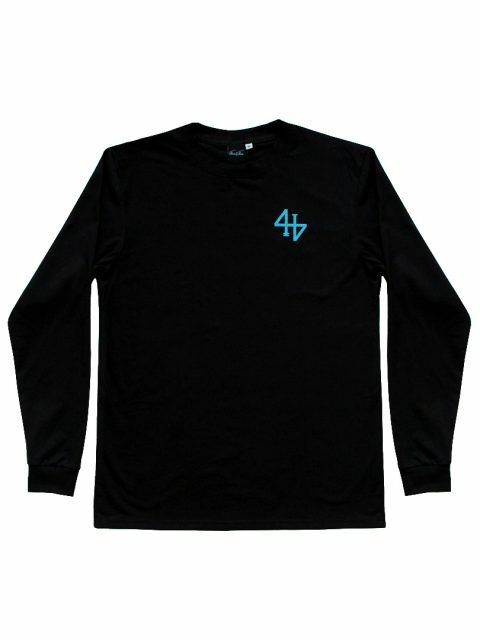 Introducing for the first time, the new Four by Four long sleeves. 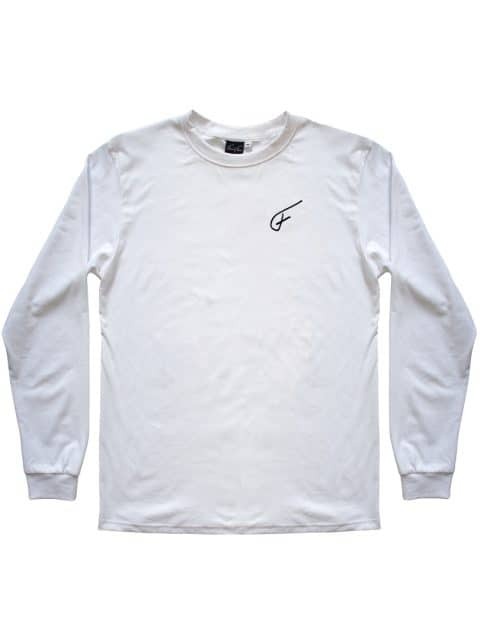 The signature F is contains a silkscreen print on the front. The long sleeves contain cuffed sleeves with the classic Four by Four fit. 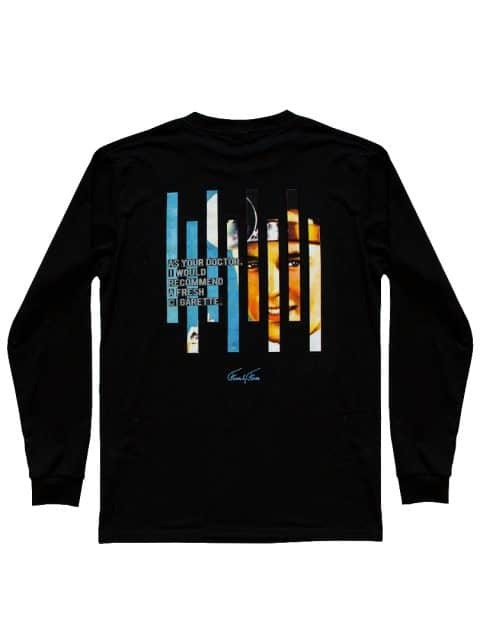 Inspired by old advertisements back in the 30’s, 40’s, 50’s and 60’s where doctors recommended you their sponsored or preferred brand cigarettes as ‘healthy’ and ‘fresh’. Times where alternative facts and practices of old-fashioned rent seeking and lobbying for the creation economic prosperity over the benefits of society might look like history, but don’t be fooled. Times where massive streams of information are in your pocket and presented to you within seconds ask for objectivity and information management. Don’t be blind sighted by your timeline and educate yourself. 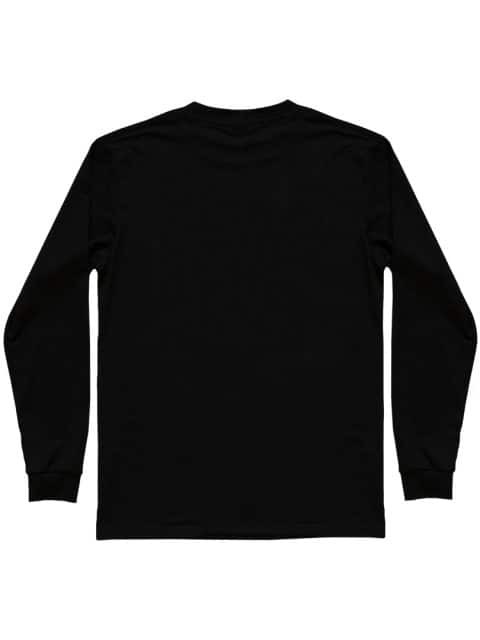 The long sleeve contains a high quality print on the front- and backside of the shirt. The Mozambique long sleeve is a tribute to the country. 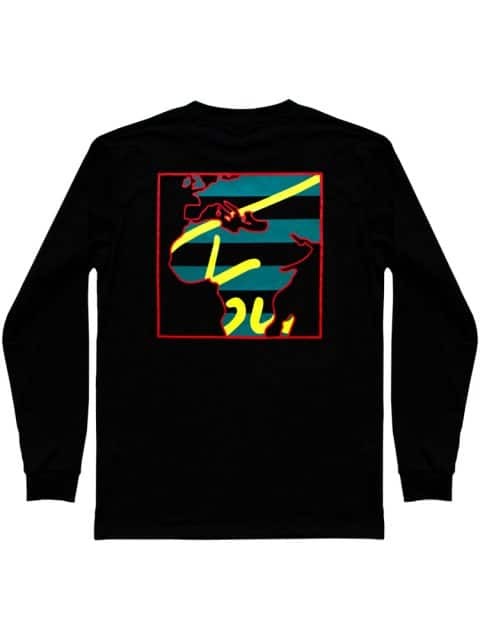 It contains a back print showing the African continent, while using the colours of the Mozambican flag to create the outlines of the artwork. 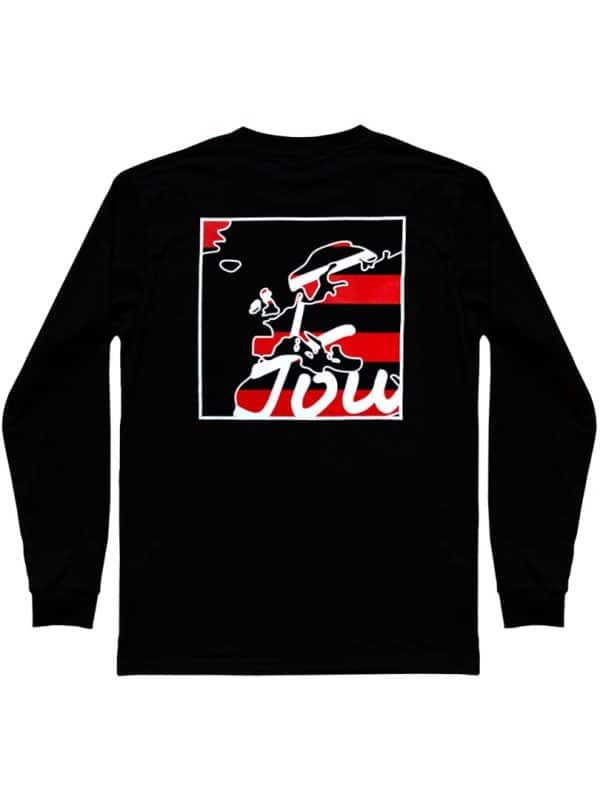 The Mozambican long sleeve contains a silkscreen print on both sides.